Shot a week ago. I arrived at the canal and lowered the tripod in the water with lens about foot above the water level. Then just waiting game. Coots finally arrived, so for me to focus I had to laid down on big rocks since D2Hs has no live view or flippy screen. Sun was getting really low and cattails gave me nice reflection. 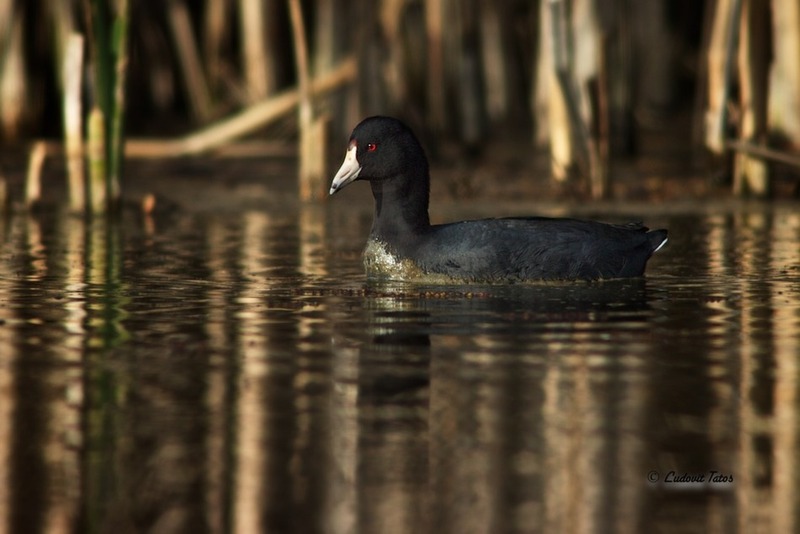 I love to shoot Coots since they are so challenging because black feathers and white beak. I was make sure I don't blow highlights and I can bring details out from black feathers even though D2Hs doesn't have a good dynamic range but I love it for it's deep saturated colors. 1/640, ISO-400, f/9 on tripod. Super low angle in this picture and nice eye contact. well done on this shot and the catch light in the eye is a bonus for the image, superb LUDO. Excellent shooting angle and exposure, Ludo. My wife and I call bird photography a waiting game. Excellent light in detail in the dark plumage as well as perfectly exposed beak. The water color and texture is really good in this image. Nice angle, I might lower the highlights in the BG a tad. Must click on this one! Couldn't be sweeter, Ludo. Beautifully exposed for the black plumage, nice depth, and the rich golden reflections are so complementary. Excellent exposure, Ludo, and I love how you worked in the habitat. Terrific detail, and the red eye is wonderful.